On October 9, 2018, JW Marriott Absheron will host the third exclusive exhibition – Prime Travel Market. The event is organized by the The Prime Consulting in a partnership with the Association of Tourism of Azerbaijan. The event will consist of several parts, during which participants and guests will be able to communicate and establish partnership relations. The project is designed to be an effective communication platform for tourism representatives and an arena for the presentation of foreign, local solutions and innovations for the tourism industry. The exhibitors of the event will be 5 star hotels, exclusive resorts, worldwide hotel chains, unique boutique hotels, airlines, cruise companies, DMCs and luxury tour operators, travel agencies, first-class concierge companies for a unique trip and etc. Also, within the framework of Prime Travel Market 2018, there will be organized a raffle for the visitors. Prime Travel Market is held in order to implement the state's strategic objectives for the development of the tourism industry in Azerbaijan. 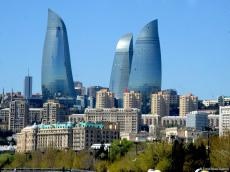 The exhibition gives a good start to companies that are only planning to enter the Azerbaijani market or strengthen their recently won positions in tourism. The event will preserve its creative and innovative spirit and provide a platform for visitors and exhibitors not only to establish and strengthen partnership relations, but also for exchanging experiences and ideas for the development of further cooperation. Prime Travel Market - this event will gather people involved in the luxury tourism industry, and will also become the basis for sustainable development of inbound and outbound tourism in Azerbaijan.